*Note: The quarterly deadline for New Eligible Training Provider and Program Applications is May 10, 2019. Federal and State guidelines dictate that all Eligible Training Providers submit performance data for their approved programs at the end of every fiscal year (June). ETPs may also need to provide additional licensure documentation or documentation of certificate to operate by the State Council of Higher Education for Virginia (SCHEV). Read more about the requirements here. Use the links below to complete and submit performance data to maintain WIOA Eligible Training Provider status. Email us your up-to-date occupational licenses and/or certificates to operate. The Virginia State Workforce Board is now requiring that providers must meet the following criteria for each approved program: Training Completion Rate must meet or exceed 50%, and Credential Attainment Rate must meet or exceed 65%. If you are a WIOA customer with a question, you may find your answer in the Frequently Asked Questions below. What is the Workforce Innovation and Opportunity Act? The Workforce Innovation and Opportunity Act (WIOA) is a Federal program to assist eligible individuals in finding and qualifying for meaningful employment. It offers tiered services to WIOA customers, which may or may not include training services. Eligible adults are not limited to their local area when choosing training programs; they may choose any approved program within the state, offered online, or potentially from an out-of-state Eligible Training Provider (ETP). Training with an out-of-state ETP is pending until a written formal agreement is made between the provider and Virginia Career Works Northern. What are the requirements in order to be approved as an Eligible Training Provider? For further details see the complete state Occupational Skills Training policy. Beyond the minimum requirements, the NVWIB views an ideal training program as one that provides a recognized certification or credential in a short time period. In addition, an ideal program will not pose a significant financial burden on the individual WIOA customer. The ideal training provider will also provide job search help such as connections to employment and networking opportunities. Where can I view all Eligible Training Providers? How much funding does the Workforce Innovation and Opportunity Act program provide customers for training? The maximum amount given for training within the Northern Virginia workforce area is $3,000 for adult jobseekers and $3,500 for dislocated workers. This funding is given in the form of an Individual Training Account (ITA). Under the WIOA principle of streamlining services, ITAs will be issued by certified SkillSource Centers throughout the Northern Virginia area. Invoicing of ITAs occurs after the WIOA customer has attended at least 25% of the total training program duration. My organization is an Eligible Training Provider. What can I do to promote our training program(s)? Working with a Fairfax County representative to distribute physical materials such as brochures and flyers to our One-Stop SkillSource Centers. Working with a Fairfax County representative to setup a webinar presentation to WIOA case managers. To learn more about how to disseminate information, please contact the WIOA Training Provider Coordinator. *Disclaimer*: The opportunity for an ETP to share about training does not signify endorsement. Neither Virginia Career Works Northern, The SkillSource Group, nor the Fairfax County Department of Family Services endorse particular training programs.  In addition, use of the SkillSource Group, Virginia Career Works Northern, or Fairfax County logos in any physical promotional materials or online is prohibited. My organization is an Eligible Training Provider. Why are we not seeing any WIOA customers coming to our training? The WIOA program works as a customer-driven process and the final decision for which training provider to attend is the customer’s. This customer choice also means there is no guarantee that an Eligible Training Provider will receive any WIOA customers funded by ITAs. My organization is an Eligible Training Provider. Do we need to do anything to maintain our status as an approved provider? Yes, at the end of each fiscal year (June), the ETP must submit performance data for each approved program as well the most current license and/or certificate to operate (if applicable). Further information can be found under Annual Renewal Requirements. My organization is an Eligible Training Provider. Our training program has changed since initial approval. What do we need to do in order to reflect that change with WIOA? Any updates to current approved programs (ex: cost change, duration change, etc.) need to be documented in writing via the Program Update Form and sent to the WIOA Training Provider Coordinator. The Training Provider Coordinator must also be notified of any programs that are no longer available. New programs with current ETPs will need to undergo review with the regular approval cycle. Please see the Eligible Training Provider Application Documents above. Have other questions? Contact our WIOA Training Provider Coordinator. See the Contact Information link (above).